Dennis C. Brue, Administrative Law Judge, Office of Administrative Hearings (OAH), Special Education Division, State of California, heard this matter on February 26, 2007, though February 28, 2007, in Los Angeles, California. Pamela Daves, Attorney at Law, represented Petitioner (Student). Student’s aunt (Aunt) was present on the first day of hearing. Student’s parents were not present at the hearing. 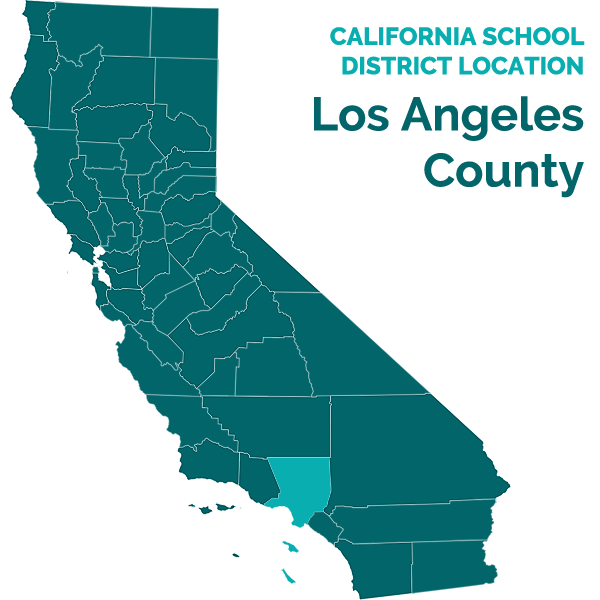 Daniel Gonzalez and Wang Peng, Attorneys at Law, represented both Respondents Los Angeles Unified School District (LAUSD) and Compton Unified School District (CUSD). LAUSD Due Process Specialist Harriet Watson was present throughout the hearing. Ruth Dickens, Senior Director of Special Needs, CUSD, was present on the first day of hearing. Joshua Kim, CUSD Special Education Program Administrator, was present on February 27, 2007. Jennifer O’Malley, CUSD Program Specialist, was present on February 28, 2007. On November 3, 2005, Student filed a Request for Due Process Hearing and Mediation, naming LAUSD, Pasadena Unified School District (PUSD), and CUSD as Respondents. Student filed a Motion to Amend the Complaint which was granted by OAH on May 31, 2006. The Amended Complaint was deemed filed on May 31, 2006. Respondents filed a Notice of Insufficiency with respect to the Amended Complaint, which was denied on June 20, 2006. On July 14, 2006, on its own motion, OAH continued the due process hearing. On September 8, 2006, OAH set the due process hearing for February 26, 2007, through March 2, 2007. On February 6, 2007, Student requested that Respondent PUSD be dismissed from this action. On February 9, 2007, Respondents LAUSD and CUSD filed a joint motion to dismiss the entire action. On February 15, 2007, OAH granted Student’s request to dismiss Respondent PUSD from this case. On February 26, 2007, on the first day of hearing, LAUSD and CUSD’s motion to dismiss was denied. Sworn testimony and documentary evidence were received, with the hearing concluding on February 28, 2007. The record remained open to allow submission of closing briefs. On March 30, 2007, closing briefs were received, the record was closed and the matter was submitted. D. Failing to provide speech and language services that conformed to Student’s IEP? D. Failing to provide prior written notice of its refusal to assess Student and conduct an IEP meeting? D. Failing to reimburse for Student’s independent educational assessments? D. Failing to take into consideration Student’s independent educational assessments? 5. Did CUSD and LAUSD’s failure to produce all of Student’s educational records within the statutory timeframe constitute a denial of FAPE? 6. If CUSD and LAUSD denied Student a FAPE, is Student entitled to compensatory education? 1 For purposes of clarity and organization, the ALJ has reorganized and renumbered Student’s issues as identified in the due process hearing request and at the telephonic prehearing conference. 2 Pursuant to the telephonic prehearing conference, the 2005-2006 school year is inclusive of the June 12, 2006 Hollywood High IEP. 3 FUSD is not a party to this action. 4 Dr. Brown holds a Ph.D. in Educational Psychology, an M.A. in Communications and a B.A. in Psychology. He has been a psychologist for 25 years and in private practice for 12. 5 Dysthymia is a chronic mood disorder, with duration of at least two years in adults and one year in adolescents and children. It is manifested as depressed mood for most of the day, occurring more days than not, and accompanied by at least two of the following symptoms: insomnia or hypersomnia, low energy or fatigue, low self-esteem, poor concentration, difficulty making decisions, and feelings of hopelessness. 6 California Education Code section 56325 has since been amended and now applies only to transfers during the academic year. There is no comparable provision which deals with a transfer between academic school years as occurred here. 7 PUSD had noticed that Student’s IEP did not provide for NPS placement and sought to correct Student’s placement. 8 PUSD was dismissed from this action pursuant to Student’s request. 9 The Test of Adolescent and Adult Language-Third Edition (TOAL-3) is a revision of the Test of Adolescent Language originally published in 1981 and revised in 1987. 10 Prior to July 2004, the IDEA mandated an ITP be developed when a student turned age 14. The current IDEA states an ITP must be developed when a student becomes age 16. Student was 13 years and 10 months old in April of 2004. 11 The Learn to Earn assessment is an informal transition planning profile, available for each grade level. 12 This sentence is verbatim in grammar and typeface, except for a reference to Student’s name, which was redacted. 13 Prior to 2004, the IDEA mandated the inclusion of transitional services in IEPs at age 14. 14 Ms. Denley hold an M.S. in Speech and Hearing Science and a B.A. in Speech –Language Pathology and Audiology. She is a licensed speech pathologist. 15 The CASL measures processes of comprehension, expression, and retrieval in four language categories: Lexical/Semantic, Syntactic, Suprallinguistic, and Pragmatic. 16 The June 10, 2006 LAUSD IEP is technically outside the reach of Student’s May 31, 2006, Amended Due Process Complaint. This IEP was included in this case at the February 9, 2007, telephonic prehearing conference. 17 Mr. Adzhyan holds a B.A. and M.A. in Psychology, and is currently a doctorial candidate in Educational Psychology. He holds a California Pupil Personnel Credential and is a licensed psychologist. 18 Student was given the following assessments: Cognitive Assessment Systems (CAS), Test of Memory and Leaning (TOMAL), Bender Gestalt Developmental test of Visual Motor Integration –II, Woodcock-Johnson-III (WJ-III), Piers-Harris Children’s Self-Concept Scale, Behavior Assessment Scale for Children-2 (BASC-2), Children Depression Inventory (CDI) and the Sentence Completion Test. 19 Mr. Golden holds an M.A. and B.A. in Communicative Disorders. He holds a teaching and speech therapy credential and is licensed to practice speech therapy. He has worked for LAUSD for 34 yeas. 20 The STAL identifies students whose linguistic skills are below average by assessing receptive and expressive language measuring: vocabulary, auditory memory span, language processing, and proverb explanation. 21 An expressive vocabulary test designed to assess vocabulary development among children three through 13 years of age who are monolingual in Spanish or who later have acquired any degree of bilingualism in English. The test is intended for use by specialists who work in the identification or management of individuals who have communication handicaps, speech and language specialists, and school psychologists. 22 Using linguistic principles as its foundation, the Fisher-Logemann Test of Articulation Competence furnishes valid and useful descriptions of a subject’s phonological system. All the English phonemes are examined according to syllabic function – prevocalic, intervocalic, and postvocalic – with frequent reliability checks. 23 Ms. Liquori’s credentials do not appear on her assessment report, or the IEP which she signed. No credentialing information was put forth by either party and she did not appear at hearing. No argument that she was untrained or otherwise unqualified to perform the evaluation was made by Student. 24 The ALJ notes that Respondent’s evidentiary copy of the IEP was unsigned, while Petitioner’s copy was. The signed IEP is deemed to be the true and complete copy. 25 Mr. Hayes holds a B.S. in Psychology and is currently working towards a master’s degree in Special Education. He holds a mild/moderate special education teaching credential and has worked for LAUSD for 10 years. 26 Ms. Dahi is employed by Starview Community Services, a community based assistance program provided by Department of Children Family Services. She advocates on behalf of students, as well as provides educational, housing, and social support. Ms. Dahi holds a B.A. in Psychology and an M.A. in Counseling and Psychology. 1. On February 26, 2007, the due process hearing was convened, wherein Respondents’ Motion to Dismiss with respect to LAUSD and CUSD was heard. Respondents argued Student’s Aunt lacked standing to proceed. Aunt had been granted Student’s educational rights pursuant to a notarized Power of Attorney, signed by his parents and dated September 6, 2005. 2. Respondents entered into evidence a redacted Minute Order from the California Superior Court, Los Angeles Juvenile Division, dated July 27, 2006. The Minute Order stated Student’s parents continued to hold his educational rights. Respondents argued that the court order superseded the previous power of attorney. It was also alternatively argued that as Student resided in foster care at the time of the filing of the due process complaint and hearing, that his foster care provider retained his educational rights, not his parents. 3. Student entered into evidence another notarized Power of Attorney, signed and dated February 12, 2007, and signed declarations from both parents attesting to their desire to move forward with this matter and confirming their vesting of Student’s educational rights with his Aunt. 4. As the Superior Court Minute Order did not conflict with or preclude the subsequent February 12, 2007 conveyance of Student’s educational rights to Aunt, all that remained to determine was the issue of Student’s current foster care placement. Respondents, due to their inability to access Student’s Juvenile Court records, were unable to provide further explanation, evidence, or facts relating to Student’s current foster care placement. After due deliberation, Respondents’ motion to dismiss was denied on the grounds that the motion was factually insufficient to support a dismissal, and that the parents’ express desire to move forward was controlling. 5. Student, born on June 5, 1990, is sixteen years, nine months old and eligible for special education services on the basis of Specific Learning Disability (SLD). Student’s parents are developmentally disabled. Student currently resides in foster care in Inglewood, California and attends Vista Del Mar, a non-public school in Culver City, California. For the purpose of this due process hearing, parents have vested Student’s educational rights with his Aunt. 6. At all times herein, Student resided in the geographical boundaries of the relevant school district. 7. In 2002, Student, age 11, resided in foster care in Fontana, California. He attended the sixth grade at Truman Middle School, located within the Fontana Unified School District (FUSD).3 The FUSD IEP team met and developed an IEP on April 23, 2002. Student was noted to be significantly below grade level in all academic areas. Socially and behaviorally, Student was developing normally by making friends, getting along with his classmates, and communicating well with adults. 8. FUSD assessed Student using the Woodcock-Johnson Revised on February 22, 2002. On April 23, 2002, the IEP team determined that Student would continue to benefit from small group instruction with a speech and language pathologist. Student was placed in a special day class (SDC) three times weekly for 30 minutes, offered pull-out speech and language services once per week for 50 minutes, and extended school year (ESY). Additional testing accommodations such as additional time, the use of a calculator, and revised testing instructions were also made. The FUSD IEP team indicated Student’s next annual IEP meeting was to take place on April 23, 2003. 9. In September of 2002, Student entered the seventh grade at Willowbrook Middle School, located within CUSD. When Student transferred into CUSD, Student’s April 23, 2002 IEP from FUSD was the last IEP implemented. While at CUSD, no IEP team meetings were convened. CUSD did not perform any assessments of Student at the time he transferred into the CUSD. 10. No witnesses testified at hearing on CUSD’s behalf. The only documentary evidence entered was a Daily Attendance report and a psychological evaluation performed in June of 2003. These documents reference that Student was placed in a SDC and received several pull-out speech and language sessions. The record reflects that CUSD adopted the previous FUSD April 23, 2002 IEP and provided the services detailed therein even though CUSD never expressly notified Student of its intent to adopt and implement the FUSD IEP. 11 A school district is required to assess a child in all areas of suspected disability, including language function, general intelligence, academic performance, communicative status, and social and emotional status. A variety of assessments tools and strategies must be used to gather functional, developmental, and academic information. A school district must conduct a reassessment of a student at least once every three years or more frequently if conditions warrant a reassessment. A failure to assess a student may be a procedural violation of the IDEA. A procedural violation is a denial of a FAPE if it significantly impeded the ability of the student’s parents to participate in decisions regarding the student’s education or deprived the student of an educational opportunity. 12. CUSD’s only educational evaluation, a psychoeducational assessment, occurred on June 2, 2003, at the end of the school year. Diana M. Ubelhoer, Ed.S., performed a psychological assessment of Student on June 2, 2003, utilizing the Comprehensive Test of Nonverbal Intelligence (CTONI), and the Woodcock-Johnson III Test of Cognitive Abilities. Ms. Ubelhoer interviewed Student and one of his teachers for the assessment. Ms. Ubelhoer determined that Student was functioning more than two grade levels below his seventh grade placement, exhibiting significant delays in visual motor skills, and an auditory processing deficit. Ms. Ubelhoer had “no speech or language concerns” regarding Student, and recommended an IEP team meeting. The assessment report notes that Student was receiving Special Education support in the SDC classroom at Willowbrook. 13. Student’s Aunt recalled that during the 2002-2003 school year, Student was beginning to exhibit negative behavioral patterns, such as becoming argumentative at home. At school, Student had been reprimanded for a classroom disturbance on April 2, 2003, and had engaged in a least two fights at school, occurring October 28, 2002, and December 16, 2002. Student’s expert witness, Walter Brown, Ph.D.,4 contends CUSD’s psychoeducational assessment is incomplete because it failed to document or interpret these incidents. Dr. Brown further criticized the CUSD psychological assessment because it failed to reflect any input from Student’s parents or include any medical or physical developmental history for Student. 14. Dr. Brown performed a psychoeducational assessment of Student on September 13, 2005. Student and his father were orally interviewed for the assessment. Dr. Brown diagnosed Student as having Dysthymic Disorder,5 Oppositional Defiant Disorder (Mild), and Attention Deficit Disorder (Combined, Mild). Dr. Brown’s criticisms of the CUSD 2003 psychological report are not persuasive. While input from Student’s parents certainly would have been of assistance, Student put forth no evidence indicating such input would have meaningfully altered Ms. Ubelhoer’s conclusion. In addition, as reflected in Dr. Brown’s own report, Student does not have a significant history of developmental deficiencies or medical problems. Therefore, the argument that the assessment is improper because it did not contain a discussion of irrelevant issues is not persuasive. As to Dr. Brown’s various psychological diagnoses, his assessment of Student occurred in 2005, two years after CUSD’s assessment. There is no evidence that any psychological impairments existed or had significantly manifested themselves in 2003. Student’s school related behaviors occurred over six months, were mild in nature, and were not escalating such that the behaviors warranted further CUSD intervention. Therefore CUSD’s 2003 psychoeducational assessment is deemed appropriate. 16. The evidence was uncontroverted that CUSD did not develop or implement an interim IEP, nor did CUSD convene an IEP team meeting within 30 days to review the interim placement and develop Student’s IEP for the remainder of the 2002-2003 school year. CUSD failed to convene an IEP meeting during Student’s entire 2002-2003 school year. Failing to convene an IEP meeting upon transfer into the District constitutes a procedural violation which precluded parents from having an opportunity to participate in educational decisions regarding Student while enrolled in CUSD. 17. A school district must conduct an IEP team meeting to review a student’s IEP at least once per year, unless student’s parents and the district agree not to. 18. Student contends that CUSD did not conduct an annual IEP team meeting. It is undisputed that Student’s annual IEP team meeting was due on or before April 23, 2003. No IEP team meeting took place during the 2002-2003 school year, a procedural violation. 19. CUSD’s failure to convene an IEP team meeting upon Student’s transfer into the district, or convene an annual IEP team meeting significantly impeded Parent’s opportunity to participate in the decision-making process regarding the provision of a FAPE to Student, causing a deprivation of educational benefits. 20. A school district is required to make a written offer of placement clearly identifying the proposed educational program. A failure to make a written offer of placement may be a procedural violation of the IDEA. 21. The evidence was uncontroverted that CUSD did not make a written offer of placement to Student when he transferred into the district in September 2002. Failing to make a written offer of placement constitutes a procedural violation that caused a deprivation of educational benefits and thus denied Student a FAPE. 22. A school district is obligated to provide the special education services delineated in a student’s IEP. A material failure to provide IEP special education services may constitute a denial of FAPE under the IDEA. 23. The FUSD April 23, 2002 IEP provided Student pull-out speech and language services once per week for 50 minutes. The FUSD IEP remained in effect as CUSD did not provide an interim IEP or develop its own IEP within 30 days after Student transferred into the district. CUSD provided a Daily Attendance Report indicating Student received a total of seven sessions of speech services for the 2002-2003 school year. This level of speech and language services was far short of what Student received pursuant to his FUSD 2002 IEP, the last implemented IEP. No testimony or documentary evidence was offered by CUSD to rebut Student’s allegation that the amount of speech and language services provided were insufficient. 24. The FUSD 2002 IEP was the only IEP operative during the 2002-2003 school year. CUSD failed, in a material manner, to provide the speech and language services delineated in the FUSD 2002 IEP, which constitutes a denial of FAPE, and a resulting loss of educational benefit. Student was enrolled in CUSD for 16 months, from September 2002 through February 2003, during which Student should have received 64 sessions of 50 minute speech and language services. As Student only received seven sessions, there is a deficit of 57 sessions. 26. PUSD made a written Administrative Interim Placement offer on February 5, 2004, identifying Student as having Attention Deficit Hyperactivity Disorder (ADHD) and a diagnosis of mood disorder. Student was offered speech therapy as Designated Instruction and Services (DIS), in an indeterminate amount. An IEP meeting and speech and language assessment were scheduled. 27. On April 22, 2004, Glenn Hill, M.A., CCC/SLP, performed a speech and language assessment on behalf of PUSD. The assessment indicated Student was within normal limits for all areas of speech and language. The results of the Test of Adolescent and Adult Language-Third Edition (TOAL-3)9 indicated Student’s skills for receptive and expressive language in the areas of vocabulary and grammar were sufficient for him to make progress without additional instructional support in speech and language. Student demonstrated more difficulty with reading and writing than with listening and speaking. Mr. Hill expressly recommended Student not receive speech and language services. 28. On April 28, 2004, the PUSD IEP team met. The PUSD IEP indicated that Student had met the annual goals in reading decoding and comprehension, and math as set out in the previous FUSD 2002 IEP. New annual goals with measurable benchmarks were set in reading decoding and comprehension, and math. Student was offered a continuation of his small group SDC. Accommodations regarding motivation and reinforcement, classroom environment and testing were identified. ESY services were deemed appropriate to reinforce Student’s academic skills. Negative behavioral issues were noted including that Student was spending time with malcontented and undesirable peers. Student was described as “instantly” turning “very angry” in classroom situations with peers. Despite these findings, behavioral support was deemed to be unnecessary. 29. PUSD prepared an Individualized Transition Plan (ITP)10, at the April 28, 2004 IEP meeting. Student indicated that he “loves playing video games” and expressed interest in becoming a video game developer. Student was given the “Learn to Earn” assessment,11 wherein Student exhibited a high interest in consumer economics and technology. The transition plan stated that Student was to research occupations of interest to him through reading and/or meeting with representatives in the career field. Student was to concentrate on identifying necessary skill and training requirements for these occupations, and to develop a transition portfolio containing sample employment applications, letters of recommendation and any awards earned. 30. In September of 2004, Student, then age fourteen, began the ninth grade at Dorsey High School, located in the LAUSD. He was living with his parents in Los Angeles. Student’s Aunt observed that Student’s behavior had become more troublesome at Dorsey. Within the first four to six weeks, Student’s teachers began complaining about classroom behaviors such as inattentiveness, loss of control, and verbal confrontations with other students. Socially, Student was associating with gang members and alternately being threatened by rival gang members, all enrolled at the school. Aunt recalled having to go the school frequently regarding Student’s behavior. Aunt was unable to recall with specificity the nature and frequency of these incidents. 31. The Dorsey IEP team met on November 2, 2004. No new assessments were performed in relation to this IEP team meeting. The IEP team determined that Student had met his PUSD April 28, 2004 annual IEP goals in math, and reading decoding and comprehension. New goals in these areas were developed. Student’s SDC placement and ESY services were continued, and further instructional accommodations were made, including additional testing and assignment time. Student was to participate in cooperative learning groups and be encouraged to engage in more classroom participation. The November 2, 2004 IEP contained an ITP, referencing Student’s desire to become a video game designer. The ITP required Student to research and identify necessary job skills and requirements for such a career. Student was to educate himself regarding entry level career opportunities and develop a transition portfolio containing a resume. Student’s mother attended the meeting and signed the IEP. 32. A school district is required to assess a child in all areas of suspected disability, including language function, general intelligence, academic performance, communicative status, and social and emotional status. A variety of assessment tools and strategies must be used to gather functional, developmental, and academic information. A school district must conduct a reassessment of a student at least once every three years or more frequently if conditions warrant a reassessment. A failure to assess a student may be a procedural violation of the IDEA. A procedural violation is a denial of a FAPE if it significantly impeded the ability of the student’s parents to participate in decisions regarding the student’s education or deprived the student of an educational benefit. 33. As Student’s prior assessments relating to his April 2004 PUSD annual IEP occurred within one year of the Dorsey IEP, LAUSD was only obligated to perform additional assessments if requested by the parents and district agreed that reassessments were warranted. While Student’s inattentiveness, loss of control, and verbal combativeness, could not be considered optimal behavior, they did not, singularly or in total, rise to a level of abnormality mandating a psychoeducational or behavioral assessment. Given that Student’s recent PUSD assessments tested for behavioral deficiencies and indicated no psychological or behavioral aberrations, additional testing by LAUSD was not required. 34. A school district must provide parents with prior written notice whenever it refuses to initiate or change the identification, evaluation, or educational placement of the special education student. A failure to provide written notice regarding special education services may be a procedural violation of the IDEA. 36. A plain reading of the above sentence indicates Aunt was requesting an IEP team meeting. More subtly however, Aunt’s request appears to address Student’s ADHD diagnosis and behavioral issues, and could have been construed as requesting LAUSD to perform a psychoeducational assessment, though this is not explicitly stated as a request or demand. 37. A school district is not obligated to reassess a student more than once a year, unless the parent and district agree otherwise. 38. Student’s last assessment occurred on April 22, 2004, while he was attending Eliot Middle School in the PUSD. The PUSD April 28, 2004 IEP is not disputed herein. Aunt’s written request of March 10, 2005 occurred 10 months later, and still within the 2004-2005 school year. Therefore, LAUSD was not obligated to perform the psychoeducational assessment of Student, despite an oral and written request to do so. 39. An IEP team shall meet when a parent or teacher requests a meeting to develop, review, or revise a student’s IEP. 40. Aunt’s March 10, 2005 letter constitutes a request for an IEP team meeting. LAUSD failed to convene the IEP team meeting, a procedural violation of the IDEA. Dorsey’s failure to respond to Aunt’s request for an IEP team meeting impeded the ability of Student’s Aunt and parents to participate in decisions regarding his education and thereby constituted a substantive denial of a FAPE. 41. School districts are required to provide specially designed instruction to meet the unique needs of the special education student. Such services should include developmental, corrective and supportive services. 43. A school district must provide parents with prior written notice whenever it refuses to initiate or change the identification, evaluation, or educational placement of the child or the provision of a free appropriate public education to the child. 44. On March 10, 2005, Aunt requested in writing that LAUSD provide what could be construed as a psychoeducational assessment of Student, and that an IEP team meeting take place. LAUSD did not respond. LAUSD was obligated to provide written notice of its decision not to perform a psychoeducational assessment, as requested. Dorsey’s failure to provide written notice of its decision not to perform the requested psychoeducational assessment constitutes a procedural violation of FAPE. However, Student did not meet his burden of proof by providing credible evidence that LAUSD’s failure to provide written notice of its decision significantly deprived Student of an educational opportunity. Therefore, while LAUSD’s failure to provide written notice of its decision not to perform a psychoeducational assessment constitutes a procedural violation of the IDEA; it does not rise to the level of a denial of FAPE. 45. LAUSD was obligated to provide written notice of its decision not to convene an IEP team meeting, as requested. Dorsey’s failure to provide written notice of its decision not to convene an IEP team meeting constitutes a procedural violation of FAPE. However, Student failed to meet his burden of proof by providing credible evidence that this failure to provide written notice significantly impeded the ability of Student’s Aunt or parents to participate in decisions regarding Student’s education or deprived Student of an educational opportunity. LAUSD’s actions are a procedural violation of FAPE, but do not rise to the level of a substantive denial of FAPE. 46. Due to perceived continuing threats to his safety, Aunt withdrew Student from Dorsey in March of 2005, and enrolled him in Westwood Charter School, a Non-Public School (NPS), located within the LAUSD. Westwood thereafter lost its charter, and Student returned to Dorsey in September of 2005. Westwood Charter School is not a party to this action. 47. Student returned to Dorsey High on September 7, 2005. Student, now age 15 and in the tenth grade, was still living with his parents in Los Angeles. On November 9, 2005, the Dorsey High IEP team met for what was described as a “30 day IEP.” No educational assessments of Student by LAUSD were made preceding this IEP team meeting. The IEP team determined that Student had failed to meet any of his annual educational goals due to excessive absences and late or missing assignments. 48. The IEP team determined that Student was functioning within the average range of general cognitive ability, and was displaying relative strength in science, social studies, and humanities. However, in comparison with his age group, Student exhibited very low range performance in reading, writing, and math skills. 49. As relates to social and emotional performance, the IEP states that, aside from being absent from class on an average of twice weekly, Student was not displaying any other behavioral problems. A Behavioral Support Plan (BSP) was drafted in an attempt to improve his attendance. 50. The IEP team attempted to prepare an Independent Transition Plan (ITP), but due to Student’s absences, was unable to complete it. As the necessary Student interview did not take place, the plan stated that Student would participate in the immediate IEP process, particularly in the development of the ITP. Student was generically tasked to interview people with careers in which he had an interest. He was also to enroll in after school tutoring to obtain additional instruction. This IEP was signed by Student and both his parents. 51. School districts are required to provide specially designed instruction to meet the unique needs of the special education student. Such services should include developmental, corrective and supportive services. A failure to design a unique educational program may be a procedural violation of the IDEA. A procedural violation is a denial of a FAPE if it significantly impeded the ability of the student’s parents to participate in decisions regarding the student’s education or deprived the student of an educational opportunity. 52. The November 9, 2005 Dorsey IEP identified Student’s unique needs as reading decoding, reading comprehension and math. The IEP set annual goals in these areas. Present levels of performance were discussed in the context of Student failing to meet his previous educational annual goals. A behavioral goal of improved attendance was made. Student’s ITP stated that he would enroll and attend tutoring after school, twice a week, to get additional help in classes. 53. Student contends this educational program was inappropriate as it failed to specify the amount of tutoring Student was to receive, contained no information concerning Student’s present levels of performance, provided generic behavioral goals in attendance, and otherwise did not meet his unique needs. 54. Student’s contentions are not well taken. As to the amount of tutoring Student was to receive, the IEP expressly stated the amount was discretionary and left up to Student to decide. Student’s present levels of performance were discussed in the context of Student failing to meet his previous educational annual goals. Finally, the behavioral goal of improved attendance is more than generic, as it directly relates to Student’s unique needs as he was frequently absent from school. The IEP team addressed Student’s absenteeism by drafting a BSP. LAUSD appropriately designed an educational plan that met Student’s unique and individual needs. 55. An IEP for a student who will be 16 years old at the time the IEP will be in effect must contain an independent transition plan (ITP).13 A failure to design and implement an appropriate ITP may be a procedural violation of the IDEA. 56. The Dorsey IEP team drafted an ITP that was incomplete because the IEP team was unable to interview Student due to his numerous absences. Aware of the plan’s deficiencies, the IEP team took measures to appropriately complete the ITP at the IEP meeting. The ITP tasked Student to interview people with careers in which he had an interest and enroll in after school tutoring to obtain additional instruction. 57. The purpose of a transitional plan is to promote movement from school to post-school activities such as work and independent living. Student’s independent transitional assessment recommended behavioral counseling to address mood swings, distraction, and restlessness. LAUSD offered behavioral counseling to address Student’s truancy. Student’s ITP stated that Student should investigate or be placed in a training or apprenticeship program in graphic design/video game development. LAUSD’s ITP also recommended career interviews and tutoring. The LAUSD ITP was appropriate. While there are differences between LAUSD and Student’s ITPs, these differences are minimal and do not rise to the level of a FAPE denial. 58. Student was vocationally assessed by Ifeanyi-Allah Ufondu, M.Ed., M.A., with the report dated September 12, 2005. The report states that Student was between grades 9 and 10 due to lack of credits and notes that he receives special day class instruction. He qualifies for special education due to a significant discrepancy between ability and achievement in areas of written language, reading comprehension and math. Student has ADHD, anxiety and mood disorders. He was taking Adderall for ADHD. Student has cognitive processing deficits that affect working memory, processing speed, and attention: aspects of cognitive efficiency and fluency. Behaviorally, Student was issued warnings at school regarding verbal and physical aggression towards peers and staff on several occasions. During the interview, Student indicated that he hated school because everyone tried to start fights with him. 59. Student indicated a strong interest in becoming a professional video game designer. He was given the Career Occupational Preference Systems Second Edition (COPS II), which showed a strong affinity for the Technical-skilled cluster. 60. Mr. Ufondu concluded Student required a new IEP, inclusive of a transitional plan. He also recommended Student should be challenged in his areas of academic, behavioral and vocational interest, but would likely require structured activities for independent work. 61. Mr. Ufondu recommended a one-to-one teaching approach was recommended for tutoring in necessary classes. He also indicated that Student should be encouraged to read, repeat, and write information in order to enhance his comprehension and retention. Behavioral counseling was recommended. According to Mr. Ufondu, vocationally, Student should have investigated or been placed in a training or apprenticeship program in graphic design/video game development. Mr. Ufondu did not testify at the due process hearing. 63. Pursuant to the assessment results, Ms. Denley determined that Student’s problem areas included difficulties in understanding antonyms, sentence completion tasks, understanding and using appropriate grammatical morphemes, higher-level or age appropriate reasoning skills, sentence comprehension tasks, decreased ability to use appropriate grammar, an inability to infer an intended meaning (inferencing) and decreased pragmatic or social skills. 64. Ms. Denley recommended a psychoeducational assessment to determine Student’s learning style and a social skills group to help facilitate social language and problem solving. She advised speech and language therapy twice weekly for 60 minutes per session, emphasizing improving Student’s recall of verbal information and listening and reading comprehension activities. Ms. Denley’s testimony is the basis for Student’s request for 72 hours of speech and language services as compensatory education. 65. Walter Brown, Ph.D., performed a psychoeducational assessment of Student on September 13, 2005. Student and his father were orally interviewed for the assessment. The Child Behavior Index (CBI) was completed by Student and his mother. Student’s reported behavior included incidents of swearing at home, threatening his parents with physical harm, sudden mood changes, and a sullen, irritable disposition. Student tended to be argumentative and verbally provocative with others. Dr. Brown did not personally observe any of these traits during Student’s assessment. 66. After administering the Brown ADD Scales and Diagnostic Form, as noted in earlier factual findings, Dr. Brown diagnosed Student as having Dysthymic Disorder, Oppositional Defiant Disorder (Mild), and Attention Deficit Disorder (Combined, Mild). He recommended that Student be referred to the school counselor or to private counseling for his depression and defiant behavior. Dr. Brown indicated that academically, Student should engage in additional math drills and practice and receive tutoring in reading comprehension. He opined that Student should have received constant reinforcement of positive behavior and effort. 67. Dr. Brown’s report and testimony did not significantly address the effects of Student’s constantly changing living conditions or various school placements on his lack of academic achievement. 68. A school district has a duty to consider independent educational assessments provided by the student. A failure to consider Student’s independent educational assessments may be a procedural violation of the IDEA. 69. The November 9, 2005 Dorsey IEP does not reference Student’s three independent educational assessments in any way. There is no evidence that LAUSD ever received, or had knowledge of the independent assessments prior to the November 2005 IEP. While Aunt recalled that she personally provided Dorsey with all three independent assessments by hand delivery to the school’s student counselor, this testimony is not persuasive as Aunt was unable to recall with any specificity when this occurred, only stating that it happened sometime after the independent assessments were completed. Student’s counsel provided no documentary support for the assertion that the assessments were provided, such as U.S. mail, facsimile, or delivery receipts. As Student failed to show that the independent educational assessments were ever provided to LAUSD by Student, there is no basis for a finding of a FAPE violation. 70. A parent has the right to an independent educational assessment at public expense if the parent disagrees with an assessment obtained by the public agency. If a parent requests an independent educational assessment at public expense, the public agency must, without unnecessary delay, either file a due process complaint to request a hearing to show that its assessment is appropriate; or ensure that an independent educational assessment is provided at public expense. If the public agency files a due process complaint notice to request a hearing and the final decision is that the agency’s assessment is appropriate, the parent still has the right to an independent educational assessment, but not at public expense. 71. Student contends LAUSD’s failure to assess him after receiving requests to do so in March of 2005, as well as LAUSD’s failure to perform any assessments in relation to either the November 2, 2004 or November 9, 2005 IEPs, obligates LAUSD to reimburse him for the costs of Student’s three independent educational assessments performed in September 2005 by Dr. Brown, Ms. Denley, and Mr. Ufondu. 72. LAUSD was not obligated to perform assessments in relation to the November 2, 2004 IEP because Student had recently been assessed in April 2004. Additionally, the independent educational assessments were not available for consideration in November 2004. Thus, no basis exists upon which Student may claim reimbursement based upon the November 2004 IEP. 73. As to the November 9, 2005 IEP, again, LAUSD conducted no assessments of Student in relation to the IEP. Aunt’s written March 10, 2005 letter, at best, can only be construed as requesting LAUSD perform a psychoeducational assessment. The letter does not constitute a request for an independent educational assessment at public expense, nor was there any reference to any disagreement Student’s parents had with any existing assessment. As Student failed to request LAUSD to perform independent educational assessments prior to obtaining his own three independent assessments, there is no statutory basis upon which to reimburse Student. 75. A school district is required to assess a child in all areas of suspected disability, using a variety of assessment tools and strategies to gather functional, developmental, and academic information. A failure to appropriately assess a student may be a substantive violation of the IDEA. 76. On June 10, 2006, LAUSD school psychologist Peter Adzhyan, M.A,17 completed a psychoeducational assessment of Student. The evaluation work-up was thorough, including Student’s educational, medical, home and family history. At the due process hearing, Mr. Adzhyan could not recall if he telephonically interviewed Student’s mother, or his Aunt, but confirmed he had spoken to one of them. Student was interviewed, as were several of his school teachers. Student was observed in class and was administered multiple formal assessment tests,18 with the results described within the body of the report. Mr. Adzhyan was unable to obtain Student’s educational records from Dorsey High or PUSD. He alternatively reviewed Student’s Dorsey and PUSD IEPs. 77. Mr. Adzhyan concluded, based upon his assessments and interviews that Student appeared to be functioning within the average range of intellectual ability for his age, with equally developed nonverbal and verbal thinking and reasoning skills. Student had average receptive and expressive English vocabulary with fluent speech. 78. Regarding Student’s social and emotional development, Student appeared to have age appropriate adaptive and social skills, exhibiting appropriate relations with peers and adults. Student did exhibit negative development in that he showed inconsistent study skills, off task behavior in class such as talking and procrastination, and a lack of academic motivation, resulting in below average academic achievement. Mr. Adzhyan believed Student exhibited Attention Deficit Disorder (ADD) without hyperactivity. 79. Student did not exhibit any characteristics consistent with anxiety, even stating that he liked school, a different opinion than the one he gave two days earlier to Ms. Liquori. It is Mr. Adzhyan’s opinion that Student’s previous poor school attendance was due to low motivation. The report concludes with numerous recommendations for improving Student’s reading, spelling, writing, and mathematical skills. 80. Student contends the June 10, 2006 LAUSD psychoeducational assessment was improper because Mr. Adzhyan failed to consider Student’s educational records or assessments from either Pasadena or Dorsey High Schools. This contention lacks support. Mr. Adzhyan stated he was unable to obtain Student’s educational and assessment records. He alternatively reviewed Student’s IEPs. This was an appropriate substitution as the IEPs were generated from assessments performed at the time the IEPs were created, and based upon Student’s unique needs as interpreted by the relevant IEP teams. Therefore, the June 10, 2006 psychoeducational assessment was appropriate. 81. On May 6, 2006, Student was assessed for speech and language deficits by Michael Golden.19 Mr. Golden was specifically assessing for delays in language and articulation. Mr. Golden’s assessment report briefly indicates that Student was cooperative during the assessment and was performing within normal limits regarding voice, articulation, fluency and language. 82. Mr. Golden assessed Student utilizing the Screening Test of Adolescent Language (STAL),20 the Multicultural Vocabulary Test,21 the Fisher-Logemann Test of Articulation Competence,22 and the Wiig Semel Test. Based upon these assessment results, Mr. Golden concluded Student did not require speech and language services. Mr. Golden’s report is notably brief, with only one short hand written paragraph describing Student’s assessment results and Mr. Golden’s professional opinion regarding Student’s performance and need for speech and language services. At hearing, Mr. Golden further related that Student’s educational records pertaining to this assessment had been lost. 83. Student contends that the May 6, 2006 speech and language assessment was improper as the report only minimally records the results of the assessments given, without indicating the actual scores Student achieved, or providing any professional interpretation of Student’s performance. In addition, as the assessment records have been lost, there is no way to support or even accurately review the conclusions Mr. Golden came to. 84. The May 6, 2006 speech and language assessment is brief and could have been more detailed. However, Mr. Golden testified in a credible manner as to the assessments given, and the meaning of their results, which were positive. His conclusion that Student does not require speech and language services coincides with the opinions of the majority of IEP team members. The only contrary opinion is that of Student’s own independent assessment. The lack of supporting educational records fails to constitute an incurable defect as Mr. Golden presented credible testimony regarding the assessment and his methodology. Mr. Golden presented as a qualified assessor with 34 years experience, and his report and its conclusions are deemed credible and appropriate. Student therefore failed to meet his burden of proof regarding the contention that the speech and language assessment was inappropriate. 85. Student contends that LAUSD’s occupational assessment is improper. On June 8, 2006, an Occupational Assessment was completed by Margaret Liquori.23 Student was interviewed, and when asked about his poor school attendance, he stated that he disliked school. Ms. Liquori’s report concluded Student had good hand manipulation, adequate visual motor and perceptual skills, and adequate organization of behavior and sensory modulation to support his ability to follow his class schedule, transition between assignments and classes and attend to a lesson or task for an appropriate amount of time. Ms. Liquori’s report opines that Student possessed adequate visual motor skills to support his ability to access his curriculum. Student offered no evidence as to the inappropriateness of this occupational assessment. Student failed to establish that Ms. Liquori’s occupational assessment was inappropriate. 86. Student contends that the LAUSD Hollywood High School’s educational program was not designed to meet his individual and unique needs and provide him with an educational benefit. Student did not meet his burden of proof regarding this issue. 87. As determined by the Hollywood High IEP assessments, Student’s unique needs consisted of deficits in reading, written language, math, which deficits required behavioral and transitional support, counseling, and academic tutoring. He did not require speech and language services. The June 12, 2006 IEP team offered Student an academic special day class, a behavioral support plan to deal with his attendance, and an independent transition plan. Annual goals were set in reading, written language, mathematics, vocational education, and behavioral support. The IEP team also offered Student counseling in the form of a weekly 30 minute pull-out session of DIS. The IEP was signed by Student, his parents, and his Aunt.24 LAUSD’s June 12, 2006 IEP was designed to meet Student’s individual and unique needs and to provide him with educational benefit. 88. Mr. George Hayes25 was Student’s SDC teacher. Mr. Hayes never had more than eight special education students in his SDC. As these special education students had both learning and physical disabilities, there were four adults present; a classroom assistant, an aide, an Additional Adult Assistant, and Mr. Hayes. 89. Mr. Hayes observed Student failing academically because of sleeping in the classroom and not producing enough work to pass. Student informed him that his exhaustion was due to spending the weekend at his parents’ house playing video games throughout the night. Mr. Hayes found Student’s most serious needs as reading, math, and behavioral issues. He sent Student to the Dean’s office twice for physical aggression directed towards other students. 90. Mr. Hayes drafted the June 12, 2006 IEP’s academic and behavioral goals and objectives. His SDC utilized a phonics based reading program, with an emphasis on comprehension, fluency, and spelling that would address Student’s deficits. He also recommended DIS behavioral counseling, which was offered in the June 12, 2006 IEP. Mr. Hayes had no recollection of ever seeing Student’s independent educational assessments and they were not considered by the IEP team. 91. Student was habitually sleeping during the first two periods of the school day, so a Behavior Support Plan (BSP) was drafted. This “moderate” off task behavior impeded Student’s learning by causing loss of instructional time and lack of work production. The behavioral plan required Student to obtain a full night’s sleep on school nights. The implementation of this goal was given to Student’s guardian at the foster home. 92. Student’s teachers were tasked with establishing better communication and social skills routines for Student, and enforcing adherence to schedules and routines. Reinforcement of acceptable behavior was to be maintained with additional computer and/or music time, praise and recognition. 93. Student’s contention that the LAUSD Hollywood High School’s educational program was not designed to meet his individual and unique needs and provide him with an educational benefit is not supported. Student’s SDC specifically emphasized reading comprehension, fluency, and spelling, all critical and unique needs of Student. The BSP was intended to address Student’s habitual sleeping in class. The DIS counseling was directed towards Student’s emotional and behavioral issues. The Hollywood High educational program was specifically designed to meet Student’s individual and unique needs. 94. An IEP for a student who will be 16 years old during its effect must contain a transition goals and services. A procedural violation is a denial of a FAPE if it significantly impeded the ability of the student’s parents to participate in decisions regarding the student’s education or deprived the student of an educational opportunity. 95. The June 12, 2006 IEP team developed an ITP based upon at least one interview with Student. The plan set an immediate goal of obtaining a high school diploma for Student. To achieve this end, Student was tasked with meeting with his school counselor to plan a school schedule that comported with graduation requirements. To address Student’s desire to enter a career in computer technology, Student was to confer with his counselor regarding enrolling in a computer class. Student was then to meet with the college office and inquire about entrance requirements for any colleges he may be interested in attending, and also visit the District Office of Transition Services to inquire about part time/volunteer work experiences. 96. Student was also to visit the Department of Motor Vehicles to obtain a valid California Identification Card. Student was to become familiar with local community health facilities such as the location of a dentist and emergency care. 97. Student contends the Hollywood High ITP is inappropriate because the District’s ITP differs in respect to his independent ITP. Student’s contention lacks support. The few variations between both ITP’s are minor to the point of insignificance. In addition, LAUSD’s ITP not only meets Student’s individual and unique needs by addressing his career goal of computer game programming, but also concerns itself with immediate and transitional issues like graduation, personal identification, and medical care. The LAUSD ITP is appropriate and intended to provide Student with educational benefit. 98. In developing a student’s IEP, the IEP team must take into consideration the student’s most recent evaluations. A school district has a duty to consider independent assessments provided by the student. 99. Student contends LAUSD’s psychoeducational, speech and language, and occupational, assessments were inappropriate because the June 12, 2006 IEP team did not sufficiently consider or incorporate the findings of Student’s independent educational assessments, the most recent assessments performed. Student failed to meet his burden of proof regarding this issue. 100. Student provided two witnesses who were present at the June 12, 2006 IEP team meeting, his Aunt and Ms. Odette Dahi26, his student services coordinator. Both witnesses credibly testified that Student’s independent educational assessments were examined and discussed by the IEP team. While the LAUSD assessors uniformly acknowledged they did not utilize Student’s independent educational assessments in their testing or conclusions, the IDEA does not preclude an educational professional from coming to their own conclusions by their own devices as long as they are properly trained, credentialed, and utilize accepted tests and protocols. Student herein makes no allegations regarding the LAUSD assessors’ credentials or testing procedures. 101. As to the IEP team’s obligation to consider independent and recent assessments, there is no statutory mandate regarding the adoption of conclusions or recommendations contained in theses independent educational assessments. Herein, the LAUSD June 12, 2006 IEP team utilized its professional judgment and discretion relating to the development of Student’s IEP. Student received educational services that addressed his need for tutoring, behavioral support, and transitioning into adulthood and employment. Therefore, there is no basis herein for finding a denial of FAPE. 102. A school district must provide the parent with a copy of the student’s records within five days of a verbal or written request by the parent. A failure to timely provide parents with a student’s educational records may be a procedural violation of the IDEA. 103. On March 27, 2006, Student’s attorneys requested Student’s full educational records via letter. Enclosed with the letter was a signed authorization from Student’s Aunt. Student requested all evaluations, IEPs, health records, cumulative records, disciplinary records, Stanford 9 and CAT/6 Scores, attendance records, and any other records related to Student that were maintained by CUSD. CUSD never fully complied with Student’s document request though Student did receive a copy of his own psychoeducational assessment and disciplinary record. CUSD contends that its failure to provide all of the requested educational records constitutes a non-substantive procedural error which did not amount to a denial of FAPE. 104. While CUSD did commit a procedural violation by the delay in providing and failure to fully provide Student with a copy of his educational records, that procedural violation did not impede the Student’s right to a FAPE, significantly impede the parent’s opportunity to participate in the decision-making process regarding the provision of a FAPE to the Student, or cause a deprivation of educational benefits. 105. On January 30, 2006, Student’s attorneys requested Student’s full educational records via a faxed letter to LAUSD’s Psychological Services Division. Enclosed with the letter was a signed authorization from Student’s Aunt. Student requested all evaluations, IEP’s, and psychological records related to Student maintained by LAUSD. An additional faxed letter was sent on February 12, 2007, to District’s attorneys, requesting assistance in obtaining outstanding progress reports and final grades, disciplinary referrals, suspension notices, the April 23, 2006 assessment plan, and Student’s entire cumulative/special education file for the 2005/06 and 2006/07 school years. LAUSD never fully complied with Student’s document requests, a procedural violation of the IDEA. 106. LAUSD witnesses indicated they were in possession of educational records not provided to Student. Mr. Golden testified Student’s speech and language assessment records had been lost or destroyed. Mr. Adzhyan testified he possessed notes and records relating to his psychological assessment of Student that were not provided to Student’s attorneys. 107. Failure to provide the educational records requested constitutes a procedural violation of the IDEA. However, Student did not meet his burden of proof by providing credible evidence that this failure to timely produce his educational records significantly impeded the ability of Student’s Aunt or parents to participate in decisions regarding Student’s education or deprived Student of an educational opportunity. Student, his parents, and his Aunt, all attended the June 12, 2006 IEP team meeting, and signed the IEP. The IEP reflected an educational program designed to meet Student’s unique educational needs. Therefore, while LAUSD’s failure to provide Student’s educational records constitutes a procedural violation of the IDEA it did not rise to the level of a substantive denial of FAPE. 108. A school district may be ordered to provide compensatory education or additional services to a student who has been denied a FAPE. These are equitable remedies that courts may employ to craft “appropriate relief” for a party. Appropriate relief is relief designed to ensure that the student is appropriately educated within the meaning of the IDEA. There is no obligation to provide day-for-day or hour-for-hour compensation. 109. Pursuant to Factual Findings 22 through 24, CUSD’s failure to provide Student with educational services that conformed to his April 23, 2002 IEP constitutes a denial of FAPE. Student did not receive approximately 57 hours of speech and language services from CUSD. To offset this deprivation of educational benefit, Ms. Denely, Student’s speech and language expert, recommended two hours of speech and language services per week. This would total 72 hours of services during an average 36 week school year. In light of Student’s recent June 2006 speech and language assessment, wherein Student performed well according to Mr. Golden, Student’s request for 72 hours of compensatory speech and language services is in excess of his actual needs. 110. CUSD is to provide one hour of speech and language services per week, for 36 weeks. These services are to be provided at Student’s current school. CUSD shall determine which certified non-public school provider will offer the speech and language services ordered herein. 111. Pursuant to Factual Findings 40 and 41, and 44-46, while LAUSD committed several procedural violations of FAPE, none constituted a substantive denial of FAPE which would support an award of compensatory education. 112. Student did not meet his burden of proof. While Student was attending Hollywood High School, LAUSD did not deny Student a FAPE. Therefore, there is no basis upon which to award compensatory education. 8. To summarize Rowley and its progeny, in order to constitute an offer of FAPE, the educational program offered by the District must meet the following four substantive requirements: (1) be designed to meet the student’s educational needs; (2) be reasonably calculated to provide the student with some educational benefit; (3) comport with the student’s IEP; and (4) provide the student with an education in the least restrictive environment. 9. A state must comply both procedurally and substantively with the IDEA. (Rowley , at p.206.) Not every procedural flaw constitutes a denial of a FAPE. Procedural flaws must result in the loss of educational opportunity to the student, or seriously infringe on the parent’s participation in the IEP process, to constitute a denial of a FAPE. (Rowley , at pp. 206- 207; Amanda J. v. Clark County School District (9th Cir. 2001) 267 F.3d 877.) Procedural violations which do not result in a loss of educational opportunity or which do not constitute a serious infringement of parents’ opportunity to participate in the IEP formulation process are insufficient to support a finding that a pupil has been denied a free appropriate public education. (W.G. v. Board of Trustees of Target Range School District No. 23 (9th Cir. 1992) 960 F.2d 1479, 1482.) These principles are now codified in title 20 of the United States Code section 1415(f)(3)(E) and Education Code section 56505, subdivision (f)(2), which provide that an ALJ may find that a child did not receive a free appropriate public education only if the procedural violation did any of the following: (A) impeded the student’s right to a FAPE; (B) significantly impeded the parents’ opportunity to participate in the decision making process regarding the provision of FAPE to the student; or (C) Caused a deprivation of educational benefits. Issue 1A: Did CUSD deny Student a FAPE during the 2002-2003 school year by failing to appropriately assess Student? Pursuant to Factual Findings 10 through 14 and Legal Conclusions 1, 2, and 3, Student failed to meet his burden of proof regarding this issue. Issue 1B: Did CUSD deny Student a FAPE during the 2002-2003 school year by failing to conduct an IEP meeting when Student transferred into CUSD or by failing to convene an annual IEP team meeting? Pursuant to Factual Findings 15 through 19, and Legal Conclusions 10 and 12, CUSD failed to provide Student with an IEP meeting within 30 days of Student’s transfer into Willowbrook High. CUSD’s failure to hold the required IEP meeting is a denial of FAPE. Issue 1C: Did CUSD deny Student a FAPE during the 2002-2003 school year by failing to make a written offer of placement? Pursuant to Factual Findings 20 and 21, CUSD failed to make a written offer of placement to Student when Student transferred into Willowbrook High. As per Legal Conclusion 11, CUSD’s failure to make a written offer of placement is a denial of FAPE. Issue 1D: Did CUSD deny Student a FAPE during the 2002-2003 school year by failing to provide speech and language services that conformed to Student’s IEP? Pursuant to Factual Findings 22 through 24, CUSD failed to provide speech and language services that conformed to Student’s April 23, 2002 IEP. As per Legal Conclusion 12, CUSD’s failure to provide the appropriate amount of speech and language services constitutes a denial of FAPE. Issue 2A: Did LAUSD’s November 2, 2004 IEP deny Student a FAPE during the 2004-2005 school year by failing to appropriately assess Student in all areas of suspected disability? Student failed to meet his burden of proof. In accordance with Factual Findings 32 through 38, and Legal Conclusions 1 through 3, Student failed to establish that Dorsey High School failed to appropriately assess Student in all areas of suspected disability. Issue 2B: Did LAUSD deny Student a FAPE during the 2004-2005 school year by failing to assess Student or convene an IEP meeting pursuant to oral and written requests? Although LAUSD was not required to assess Student pursuant to Aunt’s request, in accordance with Factual Findings 34 through 40 and Legal Conclusion 14, Student established that Dorsey High School failed to convene an IEP team meeting pursuant to a written request, a procedural denial of FAPE. Issue 2C: Did LAUSD’s November 2, 2004, IEP deny Student a FAPE during the 2004-2005 school year by failing to design an educational program to meet Student’s individual and unique needs? In accordance with Factual Findings 41 and 42, and Legal Conclusions 4 through 8, Student did not establish that Dorsey High School failed to design an educational program to meet Student’s individual and unique needs. Issue 2D: Did LAUSD deny Student a FAPE during the 2004-2005 school year by failing to provide prior written notice of its refusal to assess and conduct an IEP meeting? In accordance with Factual Findings 43 through 45 and Legal Conclusion 14, Student established that Dorsey High School failed to provide prior written notice of a refusal to assess or conduct an IEP meeting. However, these procedural violations do not constitute a substantive denial of FAPE. Issue 3A: Did LAUSD’s November 9, 2005 IEP deny Student a FAPE during the 2005-2006 school year by failing to design an educational program to meet Student’s individual and unique needs? Student failed to meet his burden of proof regarding this issue. Pursuant to Factual Findings 51 through 54, and Legal Conclusions 4 through 8, LAUSD designed an appropriate educational program to meet Student’s individual and unique needs. Issue 3B: Did LAUSD deny Student a FAPE during the 2005-2006 school year by failing to design and implement an appropriate transition plan? Student failed to meet his burden of proof regarding this issue. Pursuant to Factual Findings 55 through 57, and Legal Conclusion 15, LAUSD designed and implemented an appropriate transition plan. Issue 3C: Did LAUSD deny Student a FAPE during the 2005-2006 school year by failing to take into consideration Student’s independent educational assessments? Student failed to meet his burden of proof regarding this issue. Pursuant to Factual Findings 68 and 69, and Legal Conclusion 12, LAUSD’s had no actual knowledge of Student’s independent educational assessments at the time of the November 2005 IEP. Issue 3D: Is Student entitled to reimbursement from LAUSD for his independent assessments? Pursuant to Factual Findings 70 though 73, and Legal Conclusion 13, Student did not meet his burden of proof as to LAUSD’s obligation to reimburse Student for his independent educational assessments. Issue 4A: Did LAUSD deny Student a FAPE during the 2005-2006 extended school year by failing to appropriately assess Student in all areas of suspected disability? Student failed to meet his burden of proof regarding this issue. Pursuant to Factual Findings 75 through 85, and Legal Conclusions 2 and 3, LAUSD appropriately assessed Student in all areas of suspected disability. Issue 4B: Did LAUSD deny Student a FAPE during the 2005-2006 school year by failing to design an educational program to meet Student’s individual and unique needs regarding the June 12, 2006 IEP? Student failed to meet his burden of proof regarding this issue. Pursuant to Factual Findings 88 through 93, and Legal Conclusions 4 through 8, LAUSD designed an appropriate educational program to meet Student’s individual and unique needs. Issue 4C: Did LAUSD deny Student a FAPE during the 2005-2006 extended school year by failing to design and implement an appropriate transition plan? Student failed to meet his burden of proof regarding this issue. Pursuant to Factual Findings 94 through 97, and Legal Conclusion 15, LAUSD designed and implemented an appropriate transition plan. Issue 4D: Did LAUSD deny Student a FAPE during the 2005-2006 extended school year by failing to take into consideration Student’s independent educational assessments? Pursuant to Factual Findings 98 and 101, and Legal Conclusion 12, LAUSD considered Student’s independent educational assessments at the June 12, 2006 IEP team meeting. Issue 5: Did CUSD and LAUSD’s failure to produce Student’s educational records within the statutory timeframe constitute a denial of FAPE? Pursuant to Factual Findings 102 through 104, CUSD failed to provide Student with all the school records requested. While this is a procedural violation, see Legal Conclusion 17, it did not constitute a substantive denial of FAPE. Pursuant to Factual Findings 105 through 107, LAUSD failed to provide Student with all the school records requested. While this is a procedural violation, see Legal Conclusion 17, it did not constitute a substantive denial of FAPE. Issue 6: If CUSD and LAUSD denied Student a FAPE, is Student entitled to compensatory education? Pursuant to Factual Findings 22 through 24, 108 through 110, and Legal Conclusion 18, CUSD failed to provide Student with a FAPE. Student met his burden of proof and is entitled to 36 hours of pull out speech and language services. Student is not entitled to compensatory education as against LAUSD. 1. Student’s request for compensatory education is granted as to CUSD for the 2002-2003 school year. CUSD is ordered to provide 36 hours of speech and language services. 1. Student prevailed against Respondent CUSD on Issues 1B, 1C, 1D, and 6. 2. Respondent CUSD prevailed on Issues 1A, and 5. 3. Student prevailed against Respondent LAUSD on Issues 2B. 4. Respondent LAUSD prevailed on Issues 2A, 2C, 2D, 3A, 3B, 3C, 3D, 4A, 4B, 4C, 4D, 5, and 6. IT IS SO ORDERED THIS June 11, 2007.